The MINILINER has been designed to serve as a wireless bridge between any controller or commanding unit and remote actuators and sensors. The unit can receive 4 outputs arriving from the commanding unit and return 4 inputs arriving from the field. 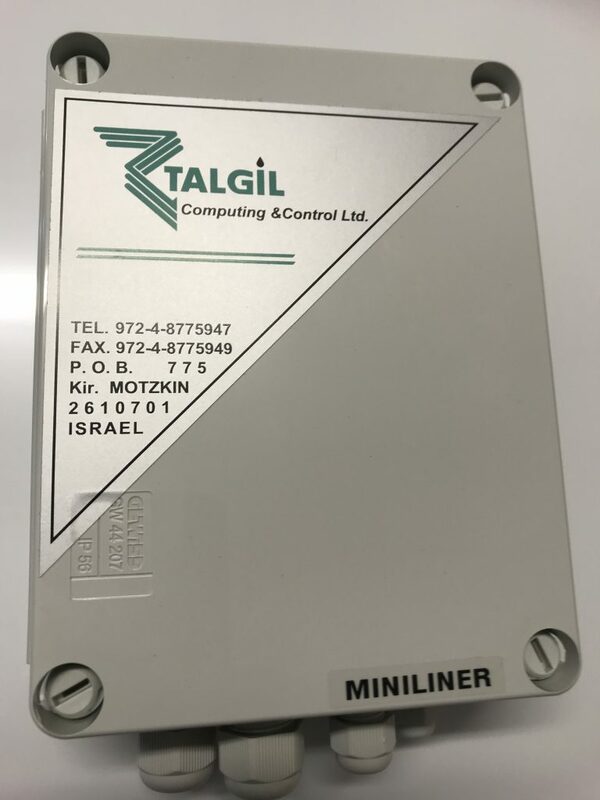 The input/output terminals of the MINILINER are connected back to back with the input/ output terminals of the commanding unit. The 4 outputs and 4 inputs can be allocated to the RTU units in any combination. We can have all outputs and inputs allocated to the same RTU (using only 1 RTU), or we can have each of them in a separate RTU (using 8 RTUs) or any combination in between. The system accepts commands in form of 24v AC or 24v DC continuous or 12v DC latching with 2 or 3 wired connection. The position of the inputs arriving from the field is presented to the commanding unit by dry contacts. The radio operated RTUs offer a cable free connection to remote accessories. The radio system does not need any licensing because of the frequency used and the low transmission power. Under good conditions, in an open field with no obstacles, a distance of 3km can be reached. The distance can be doubled by making some RTUs act as repeaters. Communicating over obstacle’s such as roads, rivers or channels. Systems where wire in ground to solenoids has failed. Returning contacts from sensors such as frost or flow switches.